Westfield House SW18 London: SOLD OUT! 英国伦敦.Westfield House @Earlsfield, SW18 London – SOLD OUT! One-Stop solution for your London Property! Westfield House is an exciting contemporary development in Earsfield, London, SW18. Westfield House is just 6 minutes walking distance to the Earsfield Train Station, which is just 3 stops away, or 13 minutes to London Waterloo. Westfield House combines the twin advantages of green open space and riverside walks, all the more surprising in a location so close to the centre of London. The development will consist of 193 units in total, a beautiful riverside walkway, green space park connecting with the high street as well as new apartments buildings with the view of River Wandle and King George’s Park. River Wandle, one of London’s lesser known but important waterways, which named as one of UK most improved rivers by environmental agency and now it has transformed into a valuable resource for leisure activities and wildlife habitats. Westfield house will have direct access to a new riverside walk along its eastern edge. The other side of Westfield House faces King George’s Park, a delightful 23 hectare open space where the attractions include a leisure centre Cannons Health Club, a trim trail and tennis courts; the perfect combination of amenities for indoor and outdoor fitness. Earlsfield is an extremely popular residential area and Westfield House represents an excellent opportunity for the discerning London Investor. London is well-known with its leading colleges and universities. The highly respected QS World University Rankings lists three London universities in its top twenty” University College London, Imperial College and Kings College London. Besides the World Class Education, the ever changing and always exciting leisure, shopping, cultural and business attractions of London are within very easy reach by train or tube from Westfield House. Westfield House Phase one pre-launch sale in Singapore is limited to 30 units only, for highly specified modern 1 bedroom suites and 1 bedroom apartments which are destined to be sought after by busy London professionals looking for a thoughtfully designed and well connected city base. Own One of the Most Prestigious & Highly Sought After Address in London! 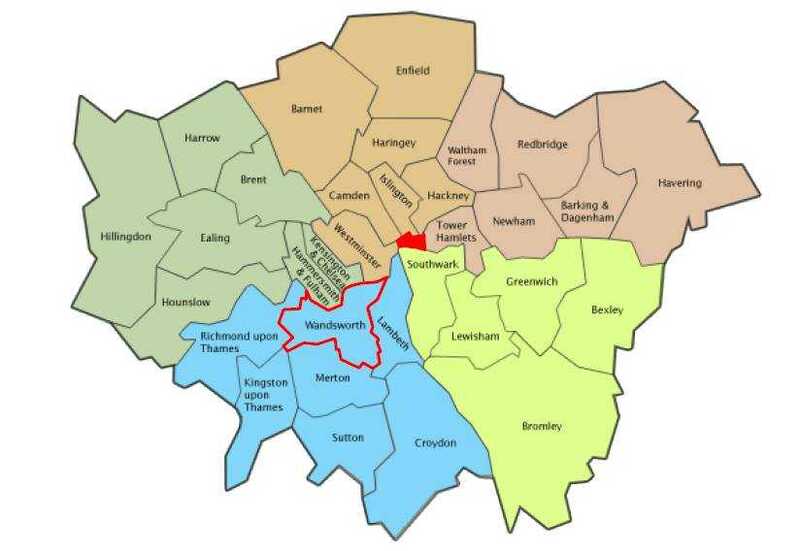 SW18 Wandsworth from only £4xxK! Westfield House offers all that the discerning Londoner desires – riverside living, a serene environment surrounded by pristine parks, superb connectivity with Central London at its doorstep, convenient amenities nearby, and easy access to good schools & universities. Linden Homes is a leading UK new homebuilder offering such a distinctive, diverse and impressive range of new homes and properties that they were named ‘Housebuilder of the Year’ at The Ideal Home Show Blue Ribbon Awards 2013 and ‘Best Large Housebuilder’ at the What House Awards 2012. Linden are currently constructing more high quality houses and flats for communities throughout the South East, South West, Midlands and North East. Over the past ten years their achievements have earned them recognition and placed them amongst the best in the new homes industry-winning a host of high-profile awards. Linden is a residential division of Galliford Try. Galliford Try is a FTSE 250 business and one of the UK’s leading housebuilding and construction groups with revenues of £1.5 billion. Grosvenor International Holdings Limited (“Grosvenor”) is an established Hong Kong registered company that has been involved with property acquisition, development and the sale of residential investment properties for over 30-years. Grosvenor provides an all-encompassing service to facilitate the purchase of property for investment. Services provided include mortgage solutions, complete home furnishing and finishing, letting and management and on-going management of the investment property. Grosvenor has worked with many UK top notch developers in their past projects, these include Berkeley Homes, St George, St James, Galliard Homes,etc. Why Singaporeans are top London buyers? London is Top Financial Centrein the world. Financial Reason : Rental Income, Capital Appreciation, Strong currency appreciation. London being a safe havenin the region, similar likes Singapore in South East Asia. British pound at Historical low. Potential strong currency appreciation when Europe economic recovered. Top World UNIVERSITIESfor your kids are in UK!! Why Westfield House @Earlfield, SW18? Walking distance to major attractions e.g. Battersea Park, Wimbledon Dog Track and Wimbledon All England Lawn Tennis & Croquet Club. 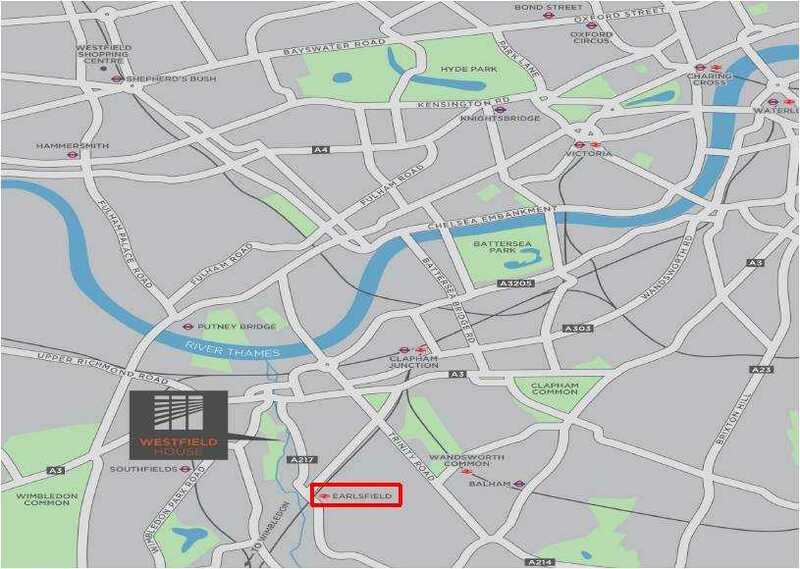 Westfield House is located in the Wandsworth Borough, one of the TOP 10 Property Investment Hotspots in London. Wandsworth Borough is also enjoying the lowest council tax in UK. From Westfield House, the ever changing and always exciting leisure, shopping, culture and business attractions of London are within very easy reach by train or tube. Earlsfield station is just 6 mins stroll away from Westfield House. And from Earlsfield station to London Waterloo is as little as 13 minutes. Clapham Junciton Interchange is just one station along the line where the London Overground can be accessed. At Vauxhall station there are connections to the London Underground Victoria Line. London Underground can also be accessed at Southfields station, approximately 13 minutes’ walk. There are direct links from here on the District Line to Westminster and Wimbledon. 1 Bedroom 67 –> VVIP Preview: 30 Units Open for Sale Only!